will be in honour of King Charles. "Charles did not want to die; he had much to live for. He was very much in love with his wife, Henrietta Maria, and she with him. He was devoted to her and to his six children-three sons and three daughters. It was a happy family which lived high moral lives in an era when the royal families in Europe lived dissolute lives. The importance of Charles I is the fact that he had a choice. 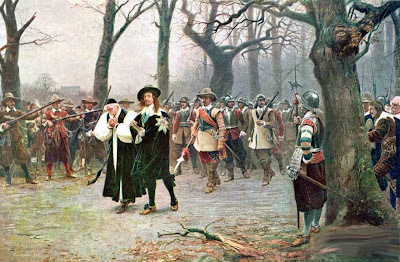 The Puritans had offered to save his life if he would renounce the throne, the Book of Common Prayer, and the Church of England. Charles refused! Instead he lay down his life for the principles in which he believed. By his death he saved the Episcopate-and thus the Church of England. Charles I was the only English king who gave up his life for the Church." Go HERE for more on Charles, King & Martyr. "The only real fall of man is his non-eucharistic life in a non-eucharistic world . . . Man was to be the priest of a eucharist, offering the world to God, and in this offering he was to receive the gift of life . . . When we see the world as an end in itself, everything becomes itself a value and consequently loses all value, because only in God is found the meaning (value) of everything, and the world is meaningful only when it is the ‘sacrament’ of God’s presence." - Taken from For the Life of the World, by Fr Alexander Schmemann (1921 - 1983), long-time Dean of Saint Vladimir’s Orthodox Theological Seminary. 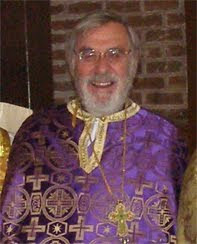 I heard from a friend that Father Michael Harper died on the Feast of the Theophany (Jan. 6 i.e. Western "Epiphany"). He began his ecclesial life as an evangelical. It was while he was a curate at All Souls' Langham Place that he underwent his pentecostal experience of the Holy Spirit. Subsequently he became an early pioneer of charismatic renewal in the U.K., and, indeed, around the world. I first met Father Michael during his initial visit to Australia when I was a student. He came as a speaker to our ecumenical prayer group at the University of Sydney. 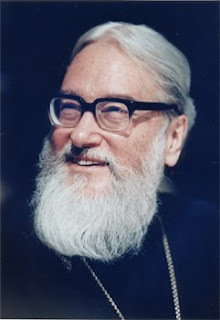 Subsequently, when I was Dean of Vision College (part of The Temple Trust which organised the large charismatic renewal conferences around Australia through the 1970s), I observed "close up" in Fr Michael a truly humble man of the utmost integrity with a deep reality in his walk with God. His friendships traversed the breadth of Christian traditions, and he triggered off many vocations to ministry in all of them! At the time of my consecration in 2005 I received an encouraging note from him. Until recently, Father Michael was the Dean of the Antiochian Deanery of the United Kingdom and Ireland, and pastor of St. Botolph Antiochian Orthodox Church in London. 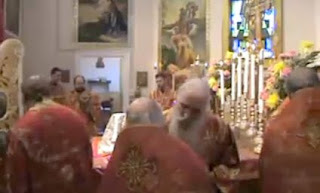 He was also one of the founding directors of the The Institute for Orthodox Christian Studies Cambridge. 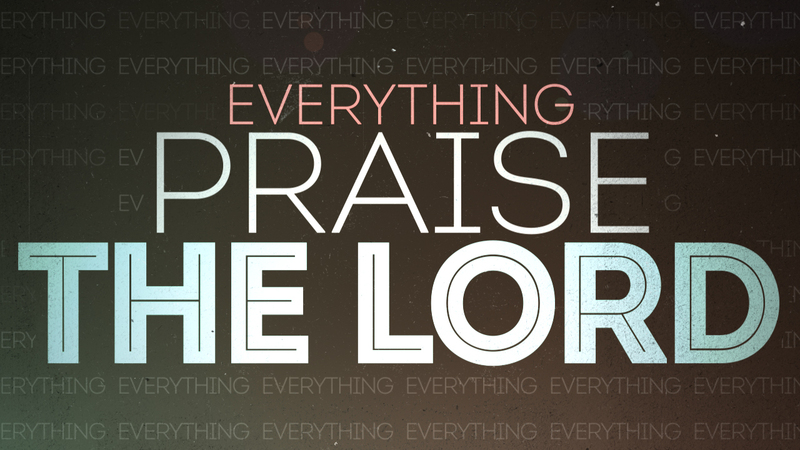 His passion to proclaim the good news of God made manifest in Christ propelled him throughout his life. Indeed, one of the last things he did in public in late November - against rising ill-health - was to put down on video the last of three talks he has contributed to the outreach program, The Way, on central aspects of the Orthodox Christian Faith. I will remember this man with thanksgiving at the altar of God, and pray for Jeanne whose ministry blended so beautifully with his. Thank you, Lord Jesus, for Father Michael, and for your love which radiated through him. Go HERE to read Professor David Frost's announcement of Father Michael's death. 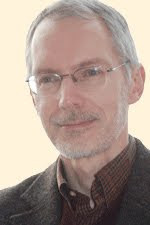 Go HERE to read an article on Father Michael's ministry as Dean of the Antiochian Deanery in Great Britain (written last year to mark his retirement). It is wrong to see the Baptism of Jesus as a mere "gesture of humility" . . . you know, "'he was like us in all things except sin,' but he would nonetheless take on the mantle of a sinner, in order to identify with us." 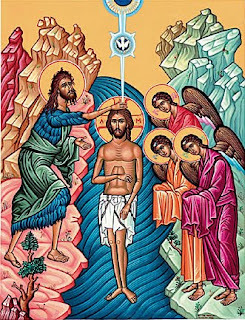 Baptism at the hands of St John the Baptist is the opening scene of Jesus' public ministry. The Father calls out from heaven, "This is my beloved Son." We have here a THEOPHANY, a Manifestation, a revelation of Jesus as God. Sealing this as a Trinitarian moment, the Holy Spirit descends on Jesus. The sacred humanity of Jesus is "anointed" by the Holy Spirit (see today's second reading), and in in the power of that anointing Jesus went about healing all who were "oppressed by the devil." The same anointing flows from Jesus, the Head, over the members of his Body, the Church, so that his loving, caring, healing ministry may continue to reach those around us in deepest need. Are you open to being filled afresh with the Holy Spirit? Now, that's something to think about at the start of 2010! Look at how Luke recounts the Lord's baptism: "And when all the people were baptised, and when Jesus also had been baptised and was praying . . ."
That reference to Jesus praying is quite typical of Luke, who shows us how Jesus prayed at every key moment of his life and mninistry. But look also at this: suddenly, "the heaven was opened, and the Holy Spirit descended upon him in bodily form, as a dove." Then God the Father speaks to Jesus (and we are allowed to overhear), "You are my beloved Son; with you I am well pleased." This amazing Trinitarian picture is something of a lens through which Luke intends us to read the rest of his Gospel on most Sundays of this liturgical year). That Jesus should come and be baptized by John is surely cause for amazement. To think of the infinite river that gladdens the city of God being bathed in a poor little stream of the eternal, the unfathomable fountainhead that gives life to all men being immersed in the shallow waters of this transient world! He who fills all creation, leaving no place devoid of his presence, he who is incomprehensible to the angels and hidden from the sight of man, came to be baptized because it was his will. And behold, the heavens opened and a voice said: "This is my beloved Son in whom I am well pleased." The beloved Father begets love, and spiritual light generates light inaccessible. In his divine nature he is my only Son, though he was known as the son of Joseph. This is my beloved Son. Though hungry himself, he feeds thousands; though weary, he refreshes those who labor. He has no place to lay his head yet holds all creation in his hand. 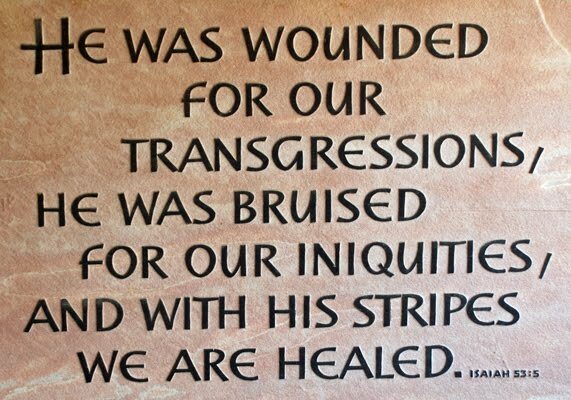 By his passion [inflicted on him by others], he frees us from the passions [unleashed by our disobedience]; by receiving a blow on the cheek he gives the world its liberty; by being pierced in the side he heals the wound of Adam. I ask you now to pay close attention, for I want to return to that fountain of life and contemplate its healing waters at their source. The Father of immortality sent his immortal Son and Word into the world; he came to us men to cleanse us with water and the Spirit. To give us a new birth that would make our bodies and souls immortal, he breathed into us the spirit of life and armed us with incorruptibility. Now if we become immortal, we shall also be divine; and if we become divine after rebirth in baptism through water and the Holy Spirit, we shall also be coheirs with Christ after the resurrection of the dead. Therefore, in a herald's voice I cry: Let peoples of every nation come and receive the immortality that flows from baptism. This is the water that is linked to the Spirit, the water that irrigates Paradise, makes the earth fertile, gives growth to plants, and brings forth living creatures. In short, this is the water by which a man receives new birth and life, the water in which even Christ was baptized, the water into which the Holy Spirit descended in the form of a dove. Whoever goes down into these waters of rebirth with faith renounces the devil and pledges himself to Christ. He repudiates the enemy and confesses that Christ is God, throws off his servitude, and is raided to filial status. He comes up from baptism resplendent as the sun, radiant in his purity, but above all, he comes as a son of God and a coheir with Christ. 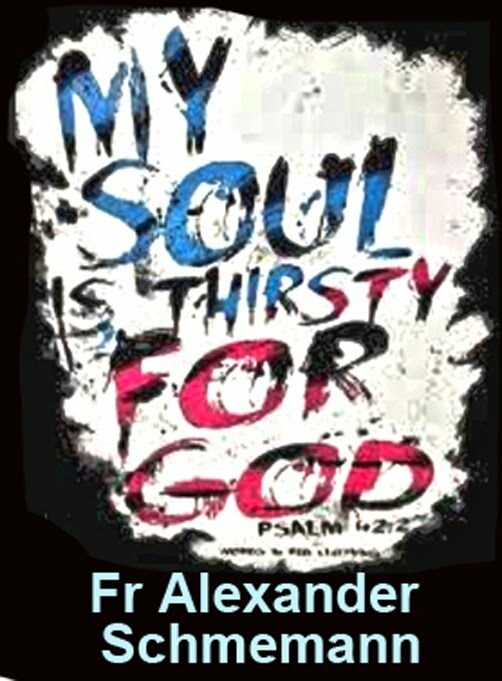 To him and to his most holy and life-giving Spirit be glory and power now and for ever. Amen. "A new Athanasius" is how we referred to Graham Leonard in the 1980s during the heat of the battle over the purported ordination of women to the priesthood and episcopate. 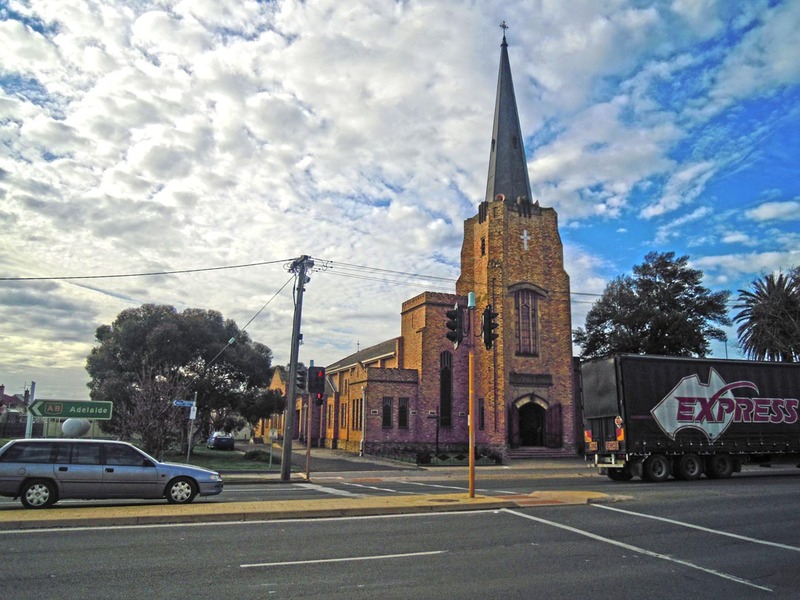 He visited Australia (including the Diocese of Ballarat), and inspired many of us in our attempt to maintain Christian orthodoxy in the face of the so-called "liberal" movements besetting the Anglican world. The best obituary so far is in The Times (see below). "I doubt whether very many bishops, of whatever Church, will, upon their deaths, elicit such an avalanche of heart-felt tributes as will Graham Leonard, Bishop in the Church of God . . . 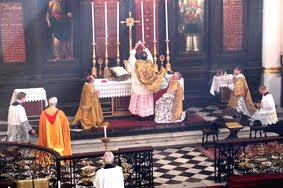 There will be very many priests, both present and former Anglicans, all over England who will be saying his Requiem with the prayers pro defuncto episcopo." Go HERE to download a pdf of Let God be God, the booklet on feminism and inclusive language Graham Leonard authored with Peter Toon and Iain MacKenzie back in 1989. Graham Leonard wanted above all to be a teacher and a pastor, and so he was. Circumstances also made him a bishop at the battlefront during the 40 bitter years when the Oxford Movement seemed finally to be unravelling. Graham Douglas Leonard was born in 1921, son of a liberal evangelical vicar, but educated in strict evangelical fashion at Monkton Combe, where he learnt the loyalty, honesty and straight thinking that made him the man he later became. In 1940 he went to Oxford and read botany at Balliol. He took a shortened wartime degree course before being commissioned in the Oxfordshire and Buckinghamshire Light Infantry. At new year 1943 he married Priscilla Swann, a brilliant fellow-student from the Oxford botany school. It was a marriage of great and enduring happiness. During duty at courts martial he began to understand the workings of law. Unlike many bishops he was never cowed by lawyers and regarded them with a detached smile. After the war he went to Westcott House, Cambridge, where he applied his scientific training to theology. By now he had a fully developed Catholic faith, but in 1947 he was ordained as curate to a middle-of-the-road Cambridge parish, where many of the parishioners worked in the Pye Radio factory. 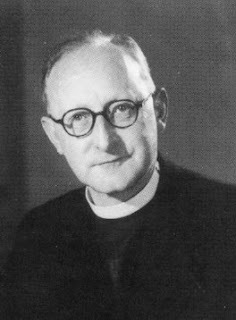 Moving quickly through two rural curacies, he became vicar of Ardleigh in 1952. Three years later Bishop Gresford Jones made him director of education for St Albans Diocese. From 1958 he was also secretary of the Church of England Board of Education Schools Council, establishing a concern for education that would later lead him to serve the Church with distinction in the General Synod and in the House of Lords. In 1962 he became Archdeacon of Hampstead and two years later, at the age of 43, Bishop of Willesden. For the next nine years he was effectively Bishop of North London. Bishops were then still experimenting with ways of getting closer to their people, and Leonard worked out a pattern of pastoral visiting that he maintained throughout his career. All of Wednesday from lunchtime onwards was spent in one parish, and all of Sunday until lunch was over was spent in another. The Eucharist was the central point of each visit, and most confirmations took place at these eucharists. The bishop was no longer a visitor for special occasions but maintained constant personal connections throughout the diocese. Ordinary lay people felt they knew him well. He actively promoted the division of the unwieldy London diocese into three area bishoprics. Personable and capable, he was also in demand for chairmanships, not least of the Mothers’ Union’s discussions about its response to the emerging revolution in family life. This particular work he found exacting and finally disappointing, because the discussions concluded with decisions that gave impetus to the Church of England’s relaxation of its marriage disciplines. Anglo-Catholics quickly took him as their spokesman in the debate on Anglican-Methodist union that dominated the Church of England in the late 1960s. The most serious flaw in the scheme was its ambiguity about the unification of the Anglican and Methodist ministries. 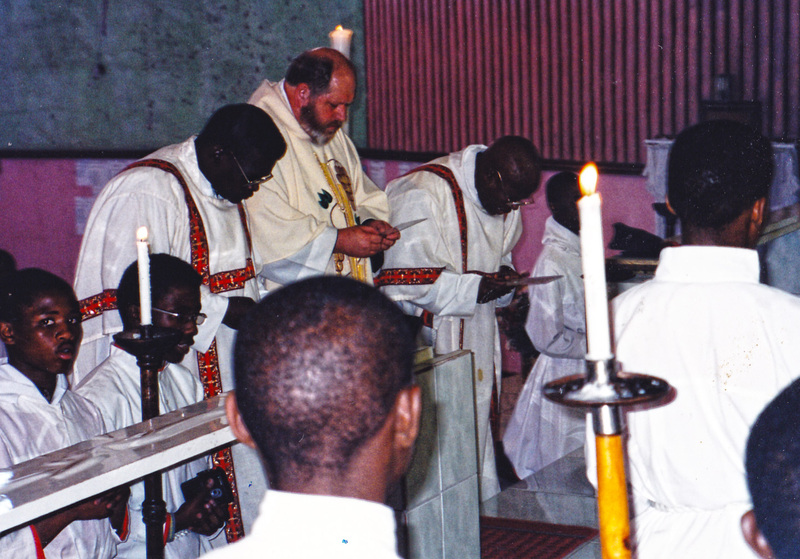 The formula proposed for this action was deliberately unclear as to whether or not the Methodist ministers were being ordained anew as Anglican priests. Leonard pointed out that this called into question wider theological issues — a point that eventually proved to be the rock on which the scheme foundered in May 1972. Feelings ran very high and some angrily gave him more blame than he was due. 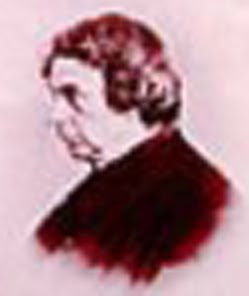 Growing into Unity, the book he wrote with his old friend Eric Mascall and the two leading evangelicals, J. D. Packer and Colin Buchanan (later Bishop of Woolwich), was given less attention than it deserved, though it sowed some of the seeds that contributed to the Churches Together movement that is now bearing fruit. Cornwall was famous for its Methodist majority so there were some critics of Leonard’s appointment as Bishop of Truro in 1973. They need not have worried. He quickly built warm relations with Cornwall’s Methodists, who responded to his vigorous scriptural and spiritual teaching, and enjoyed the respect he gave them. Few diocesan bishops can have met local Methodist leaders so often. This was perhaps the happiest time in his life as a bishop. He responded enthusiastically to all that was “Celtic” (the word was still acceptable among historians at that time) in the Duchy. He created an ecumenical advisory group to encourage use of the Cornish language in public worship. Yet he never completely accepted the cult of “Celtic spirituality” and, though he saw its benefits for the tourist industry, he was well aware that there was no evidence for it in Cornish sources. The Cornish responded warmly to his habit of pointing himself and others straight to God: Leonard’s Cornwall was a prayerful diocese. His personal religion had a distinct charismatic element, most evident in his care for charismatics and those with charismatic gifts, especially healers. Truro had much in common with other rural dioceses at the edges of England. It had never expected to be a trailblazer, and clergy stipends were depressingly low. One of Leonard’s first objectives was to bring them up to the national average. Some regarded this as an unrealistic challenge, but he quickly succeeded and so cemented his unity with his clergy families. In the days of “Sheffield figures” — the first attempt to ration clergy numbers according to local need — he strove to get recognition of the vastly different needs of summer and winter populations in Cornwall, but the point scarcely registered in Westminster. Leonard was surprisingly well read in poetry, and delighted in cats and children. Yet he and Priscilla were no more than moderately happy in Lis Escop, the see house. It had been built during the 1960s in a beautiful setting above the Fal at Trelissick, but was glumly designed, more like an institution than a home and hard to reach, seven miles outside the city and a long walk from a country bus stop. Priscilla nevertheless produced a worthy Cornish garden, and they both enjoyed finding rare fungi and orchids in the woods, which rang with happiness when the grandchildren arrived. He revelled in music, especially Elgar and impromptu recorder consorts. He overworked shamefully. As chairman successively of the General Synod Boards of Education and (from 1976) of Social Responsibility he had to travel to London on England’s slowest main line. His stance on ethical questions was always to seek a firm scriptural and theological basis, then produce a moderate expression of traditional principles. His pastoral care in cases of difficulty was deeply compassionate; though he might be exasperated by the ideas of more radical bishops, he often acted very much as they did in specific cases. His ecumenical involvement also demanded travel. He was a member of the Commission for Anglican/Orthodox Joint Doctrinal Discussions, which he enjoyed, though they were not very productive. In 1975 he attended the fifth Assembly of the World Council of Churches in Nairobi as an elected delegate of the Church of England. From 1977 he was closely involved in the ill-fated Covenanting for Unity debates of 1982, when he again became the standard-bearer of Anglo-Catholic reluctance. He happily ordained women deacons and constantly encouraged women to use their gifts of spiritual direction and theology, but he earned enmity once again for his negative approach to the ordination of women as priests. Only those who were very close to him knew how often and with what agony he reappraised his position. It would have been a relief to him if he could have taken the majority view, and he understood his opponents far better than they thought. Emotional considerations powerfully fuelled the debate, but both sides had strong rational arguments. For Leonard the most important intellectual argument was fundamentally ecumenical. As an Anglo-Catholic he could not justify the comparatively small Anglican Communion abandoning its own claim to be regarded as a Catholic Church by ignoring pleas from the great Roman Catholic and Eastern Orthodox Churches, which opposed the innovation of women priests. The question dominated every part of church life for two unhappy decades and was not settled until 1992, after Leonard had retired. 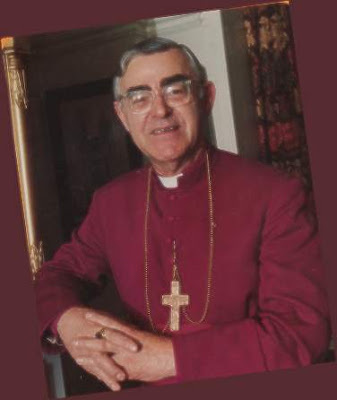 Appointment as Bishop of London in 1981 reduced his travelling, but was itself controversial. Though much of the diocese wanted him eagerly, liberals, especially more radical leaders, feared him. 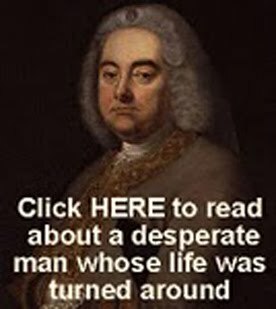 There were stories of irregularity about his appointment, but all were denied by Lambeth and Downing Street, and they simmered down before his memorably happy enthronement in St Paul’s. Now directly responsible for pastoral care of the cities of London and Westminster only, Leonard kept up his regular visits to parishes, never losing touch with the laity. He believed he had also helped the growth of affectionate relationships between the cathedral and the rest of the diocese. Though he was poles apart in theology from Alan Webster, the Dean of St Paul’s, they developed a personal relationship that led the bishop to boast he was the first Bishop of London to be given the key of the cathedral back door. His appointments, as at Truro, continued to surprise. They were often impulsive, sometime brilliant, sometimes disappointing, rarely dull. His house was very close to the House of Lords. He enjoyed his duties there, though he began to tire of the flummery. He had sympathy for the Conservative Government, but surprised many by opposing it on housing and on the fate of the Greater London Council. His theological view would always override any purely political allegiance. In discussions on the Education Act he played a leading part in solving questions about religious education, for which he was much praised in Church and Parliament, although he was attacked for giving too much respect to non-Christian religions. Some of his closest friends were perplexed by the Tulsa Affair in 1988. 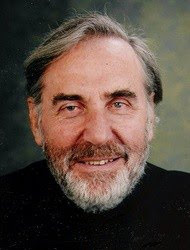 A priest in Tulsa, Oklahoma, who claimed that the American Episcopal Church had ejected him because of his traditional theology, asked Leonard for episcopal care. Leonard’s response was negative at first, but within a year he was convinced that there had been an injustice. Since the congregation had been dismissed from the Episcopal Church, Leonard thought he was free to act. He met the Bishop of Oklahoma, who thought otherwise. Leonard proposed to go to Tulsa and confirm some candidates who had been prepared for that sacrament. The Archbishop of Canterbury showed distress, but gave no decision. Leonard conducted the confirmation. Nothing further happened; but the essential fragility of Anglican unity had shown itself. At 70 Leonard retired from London to his house in Witney, Oxfordshire. Meanwhile, the liberalisation of the Church of England showed every sign of going farther. Once off the battlefield, he could view the situation more dispassionately. He had been reading revisionist historians of the Reformation and, though convinced of the validity of his own ordinations, he began to reassess the fundamental theory of Anglo-Catholicism. He concluded that Anglicanism was not an ecclesial organism, and could never be other than a Tudor political device. In 1993 he became the first diocesen bishop of the Church of England to “cross the Tiber”. Several hundred Church of England priests were for similar reasons poised to take the same route, or had already taken it. Few were directly influenced by him; his part in the acceptance of many of them for Catholic ordination was probably more important. 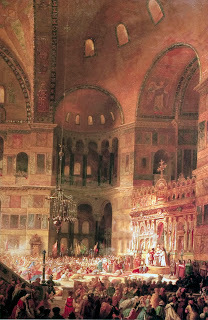 As Bishop of London he had long been a friend of Cardinal Hume, who now stimulated Rome to positive action. 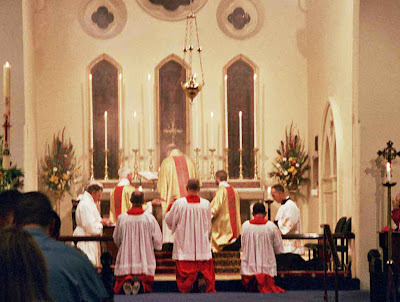 These priests were ordained unconditionally, but Leonard himself was ordained conditionally, with due regard to the Old Catholic element in the ordination pedigree of modern Church of England bishops. 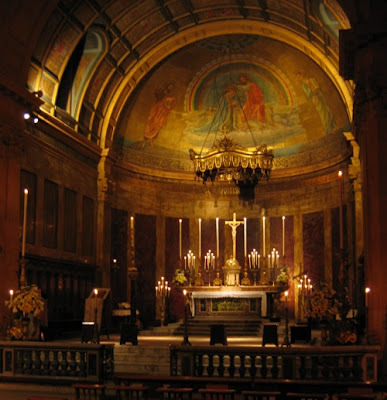 The ordination took place in the chapel of Archbishop’s House, Westminster, early in 1994. Despite his residence in Oxfordshire, he had the status of a retired priest of the Westminster archdiocese. 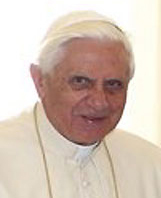 Cardinal Ratzinger became something of a friend. Leonard was quickly immersed in a hefty programme of talks and retreat addresses in various countries. His teaching was if anything more appreciated than it had been in the happiest of his Anglican years. Like most others who entered the Catholic priesthood from the Church of England at that time, he was soon talking of his new sense of liberation. 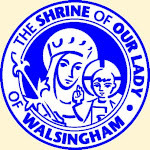 In 2001 he was made a Prelate of Honour with the style of Monsignor, in recognition of many years’ service to the Christian religion in England. Soon afterward his health began to falter. Although he had ceased travelling, and did less work outside local parishes, he retained his many friends and was serenely content. 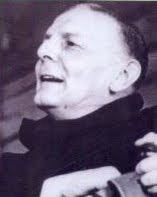 The Right Rev Monsignor Graham Leonard, Bishop of London, 1981-91, was born on May 8, 1921. He died on January 6, 2010, aged 88.
for the newspaper "La Croix". was painted by Paul Newton. 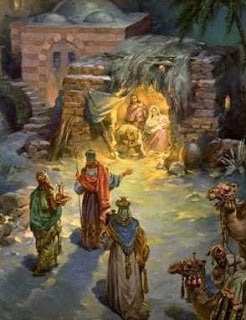 I hope and pray all readers of this blog will know the blessing of God throughout 2010. 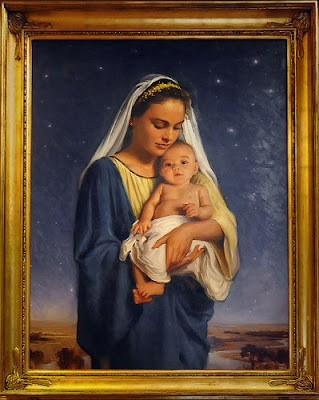 May the Lord Jesus be precious to you, and may his holy Mother ("Mother of all her Son's people") and all the Saints (our prayer partners in glory) intercede for you. The following is a portion of the most famous homily on Our Lady from ancient times. 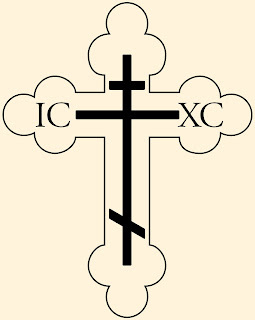 It was given by St Cyril of Alexandria in the Church of St Mary at Ephesus between 23 and 27 June 431, while the third Ecumenical Council was in session there. This Council, at which St Cyril presided as papal delegate, solemnly recognized Mary's title of Theotokos, "God-bearer" or "Mother of God", which was, of course, not initially concerned with Mary at all, but with making a clear statement about the true humanity and the true divinity of Jesus. Mary, Mother of God, we salute you. 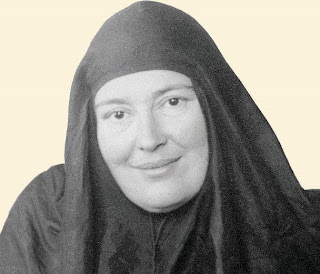 Precious vessel, worthy of the whole world's reverence, you are an ever-shining light, the crown of virginity, the symbol of orthodoxy, an indestructible temple, the place that held him whom no place can contain, mother and virgin. 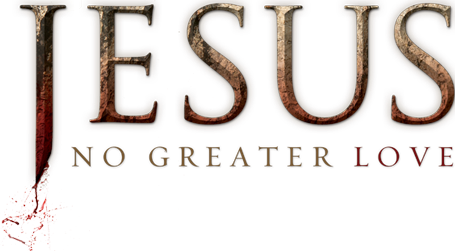 Because of you the holy gospels could say: Blessed is he who comes in the name of the Lord. We salute you, for in your holy womb he, who is beyond all limitation, was confined. Because of you the holy Trinity is glorified and adored; the cross is called precious and is venerated throughout the world; the heavens exult; the angels and archangels make merry; demons are put to flight; the devil, that tempter, is thrust down from heaven; the fallen race of man is taken up on high; all creatures possessed by the madness of idolatry have attained knowledge of the truth; believers receive holy baptism; the oil of gladness is poured out; the Church is established throughout the world; pagans are brought to repentance. Who can put Mary's high honour into words? She is both mother and virgin. I am overwhelmed by the wonder of this miracle. Of course no one could be prevented from living in the house he had built for himself, yet who would invite mockery by asking his own servant to become his mother?